Book Description Could your iPod hold the key to losing weight, improving your mood, even changing your life? 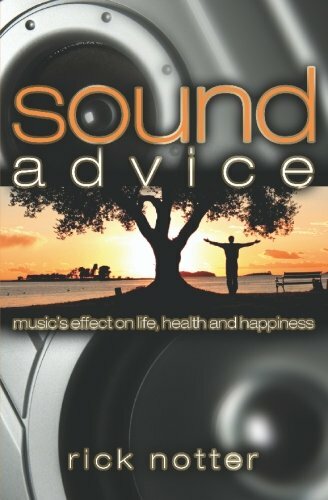 Sound Advice provides an informative look at how music can have profound effects on all of us. Author Rick Notter gives techniques and strategies on ways to use music you love to your advantage in your everyday life. This advice is based on years of research from scientists, physicians and philosophers as recent as today's news and as far back as 500 B.C. Sound advice is much more than a list of songs to add to your collection. Notter, a cancer survivor, gives very personal examples of how he and others have used music to improve their lives. He also writes about courage, morality, ethics....and really re-evaluating one's life and finding happiness. Sound advice is enlightening, practical, and inspirational - an essential guide to living a happier, healthier, and more productive life.